There’s a lot going on at the moment. We’ve been blessed with some great volunteers, using the organisation Workaway. Last year Robin and some wonderful volunteers built 2 walls, to protect the garden from north and south west winds. This year we have another great volunteer called Ben from Switzerland. 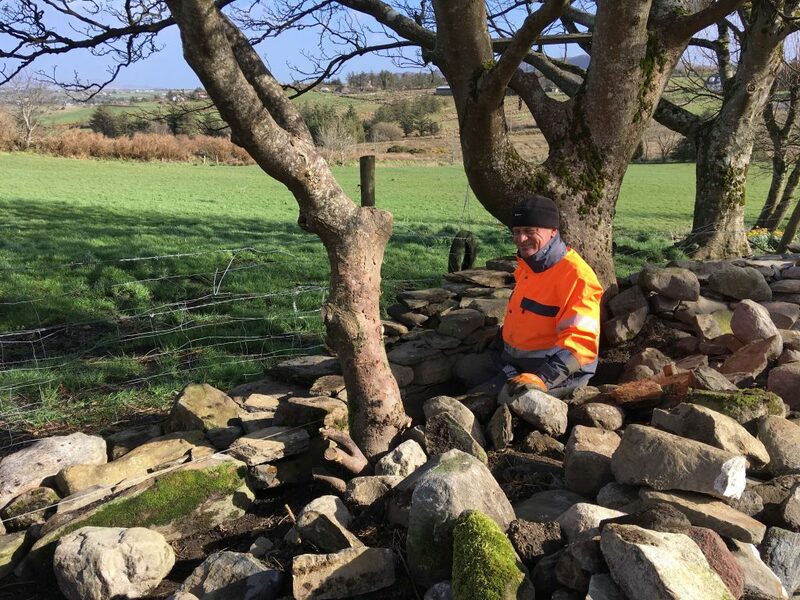 He is continuing the building of the stone walls, and creating a space for a shed and a greenhouse. We intend to make this out of all the old windows that came out of the Song House 4 years ago. 22 of them! Then I can start to sow seeds, and get plants coming on much earlier in the year. I’m also planting another 5 unusual fruit trees and bushes – have you heard of Chinese Hawthorn, AutumnOlive (Eleagnus Umbellata) or Arctic raspberries? Hopefully if you come to visit, you will see them flourishing in the Song House garden. At the Friday market a week ago, I saw this dark spongy substance in packets for sale at my favourite stall. What is that? I asked. 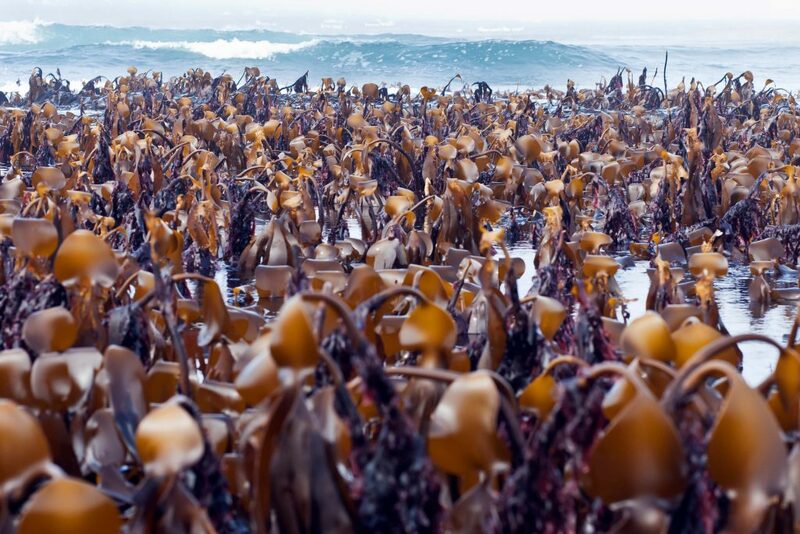 It was sloke, an edible seaweed in abundance on bare rocks in the tidal zone. Sleabhac (in Irish, pronounced slow-wack) only appears during the winter months. It is ready to eat in Feb/March only, and looks like black plastic, very thin, wrapping round the rocks on the tideline. It is an excellent tonic to detox and fortify the body for the year ahead. In earlier times, everyone in Donegal would be eating sloke at this time. If you are interested in gardens, NW Donegal has a lot to offer on that front (and we are not just talking about the the organic garden at the Song House, planted with many herbs and fruit bushes, which are available for guests). Only 1 1/2 miles for the Song House, on the edge of Falcarragh, is Cluain na dTor. It has a beautiful garden, developed over 25 years by its owner Seamus O’Donnell, and also a plant nursery that specialises in plants that thrive in coastal areas. 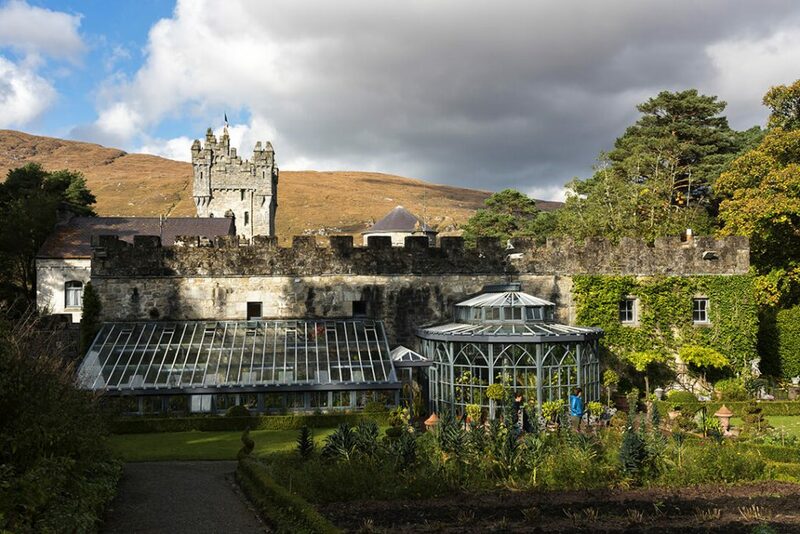 You can spend a day at Glenveagh National Park, visit the Castle, the Kitchen gardens and the exceptional Italian Garden on the estate. Then there’s Ads Forest National Park. The park covers approximately 480 hectares (1200 acres) and includes a variety of habitats, among them sand dunes, beaches, salt marshes, salt water lakes, rock face and, of course, coniferous and deciduous woodlands. With such a variety of landscapes, it is possible to spend many hours exploring this wonderful park.